setting an ambitious goal of recruiting 200 runners to help raise over $250,000. Yes, I would say that was very ambitious. great cause though, good luck to them. The 23nd running of the Angkor Wat International Half Marathon and other supporting attractions around the sprawling World Heritage site in Siem Reap take place this Sunday. The event is set to match or even better the magical 11,000 mark recorded in the previous edition as the organisers restored the traditional running route after it was drastically altered last year due to the government’s religious function attended by Prime Minister HE. Despite an unprecedented rush of excitement both among overseas runners and locals, hundreds were disappointed that the altered route deprived them of soaking up the unique experience of the temple complex, though they were happy to go through some of the inner city locations. 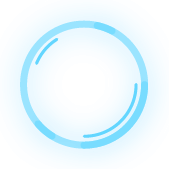 The Kingdom’s most popular and truly global event offers no purse but tonnes of pride as a run for the most charitable causes at the height of the tourist season. The proceeds from this run will go to charitable institutions like the Cambodian Red Cross and CMAC, an organization dedicated to clearing of landmines. The other beneficiaries include NGOs pursuing social causes and the Kantha Bopha Children’s Hospitals. “Nowhere in the world could runners find a course in the middle of such spectacular ancient monuments, sites and scenic beauty." “We would like to keep enhancing this unique experience” Secretary General of National Olympic Committee of Cambodia (NOCC) Vath Chamroeun told The Post. So last year the runners paid a premium and the organizers changed the course in the last second and they wouldn't even pass the ruins. I would have been furious. Organisers of the annual Angkor Wat International Half Marathon have lauded the events continued popularity as thousands of runners, both amateur and professional, descended on the UNESCO World Heritage-listed Angkor Archaeological Park in Siem Reap, to test their limits at the 23rd edition of the marathon, principally sponsored by Manulife. Valentin Cuzzucoli of France was the overall victor in the men’s race in a record time of 1 hour, 17 minutes, and 18 seconds with Japan’s Daisuke Yamauchi following closely behind in 1:18:12. In the women’s half marathon race, Rose Bec of Australia registered 1:28:45 to grab top spot. Singapore-based Irishwoman Maire Nic Amhlaoibh crossed over in second place registering a time of 1:31:33. She had bagged first-prize in the women’s half-marathon last year. There was some medal cheer for Cambodia in the 10-km race, as the kingdom ensured a Cambodian one-two with Van Pheara and Chea Sampors nabbing first and second place respectively in the men’s race. In the female equivalent, Lyndsay Clarke of the United Kingdom crossed the line first, followed closely by Japan’s Chiharu Watnabe. Much to the delight of participants, this year’s race was restored to the conventional route of previous years. Last year’s route was interrupted by a government function attended by Prime Minister HE. President of the National Olympic Committee of Cambodia and Minister of Tourism Thong Khon estimated that 10,500 runners from 78 countries participated in this year’s event. The event offers runners different categories from 3 KM to the half marathon (21KM) as well as races for the disabled. 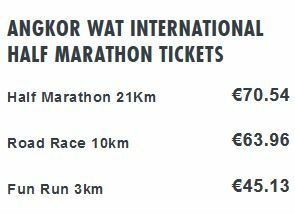 Angkor Wat International Half Marathon this Sunday. Ready to run ? Sihanoukville Half Marathon, 5 March.